"Dr. Kim and the entire staff are consistently friendly, professional." "Dr. Kim and Nurse Ann are seriously the best." "I felt well taken care of, and my skin looks great. Thanks so much!" "The staff is great. They make sure you are comfortable and feel at ease"
"Very knowledgeable staff, doctor is very kind. Clinic is absolutely beautiful!" "Wonderful staff and exceptionally thorough Dr. Kim. Very pleased with the care! " "I've been coming here for years and will continue to do so." "Every person in the office is caring and warm." 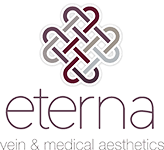 Eterna Vein & Medical Aesthetics accepts most major insurance plans. Here is a list of just a few of the major insurances we accept. If you do not see your insurance listed, please call our office to confirm. Eterna provides loyalty programs with a partnership with Brilliant Distinctions, ASPIRE Galderma Rewards, and with our Eterna’s Referral Program. What are NovaThreads and Why is Everyone Talking About Them? NovaThreads can give you the benefits of a face-lift without the pain or recovery time of surgery. Treatment takes about an hour, and results can last for several months or longer. Making the last few changes to get your body in swimsuit shape could be the biggest challenge of your body-sculpting journey. CoolSculpting tackles stubborn fat stores that resist efforts of diet and exercise. Do you love winter because you can cover up varicose veins and spider veins? If you don’t like thinking about them, know this: Now is the perfect time to think about them. You can get rid of them this winter and have beautiful skin by summer.